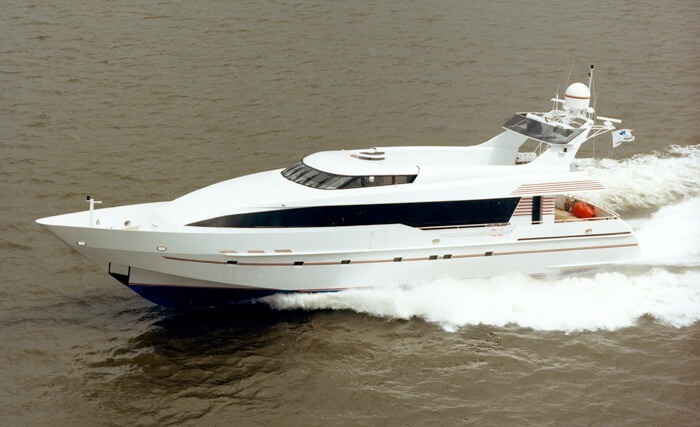 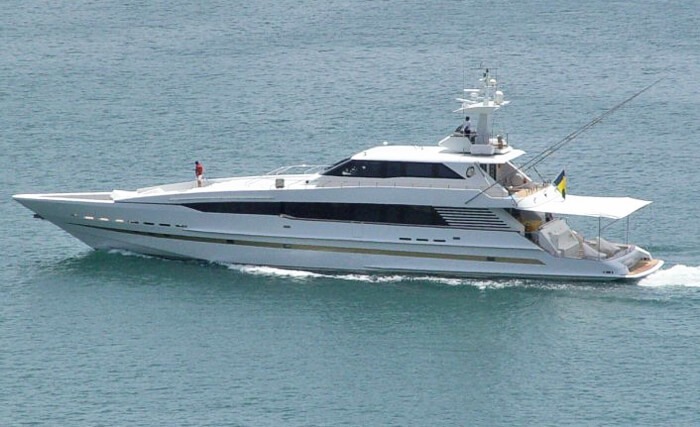 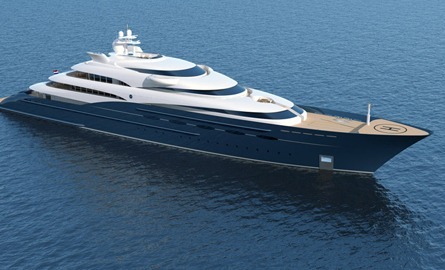 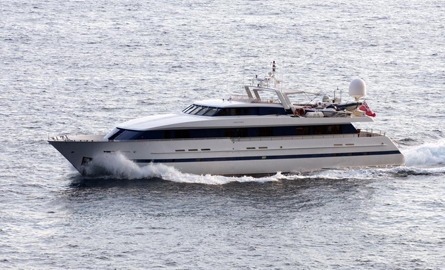 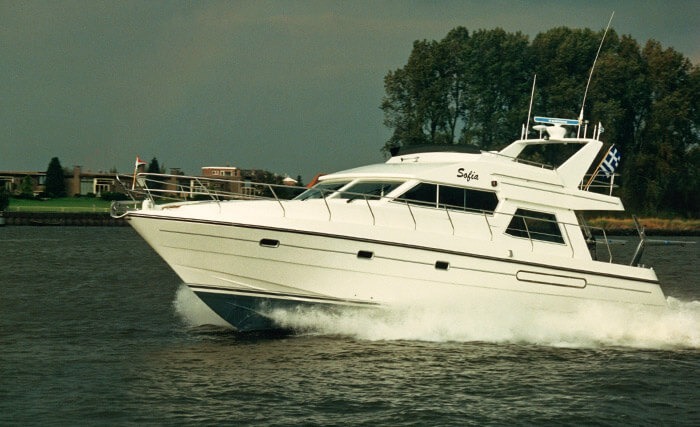 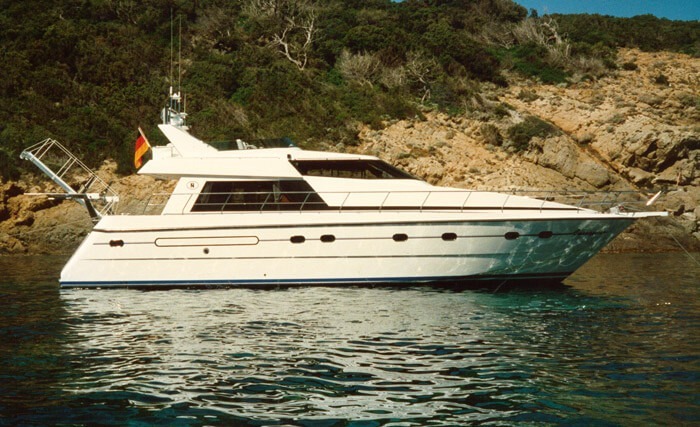 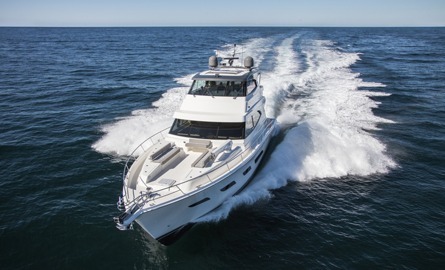 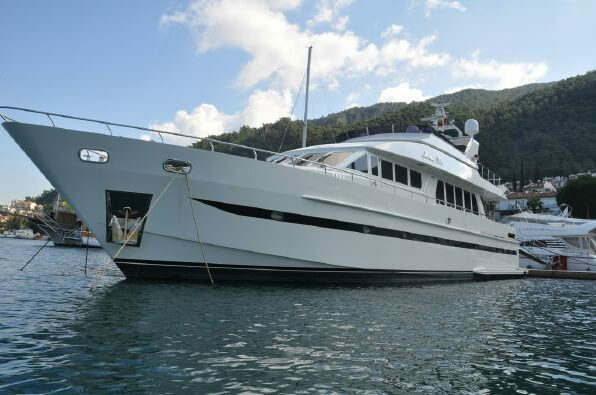 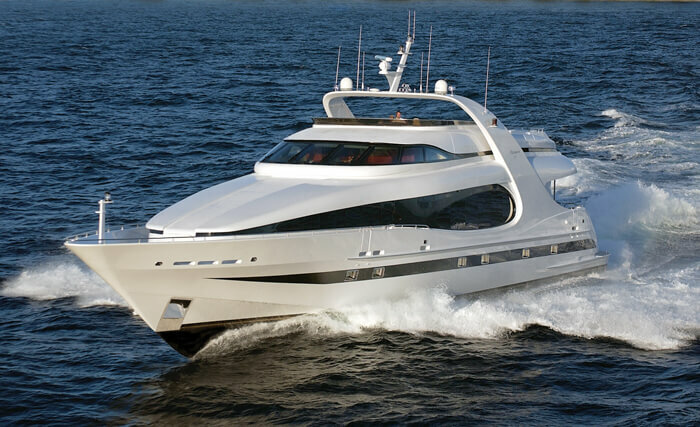 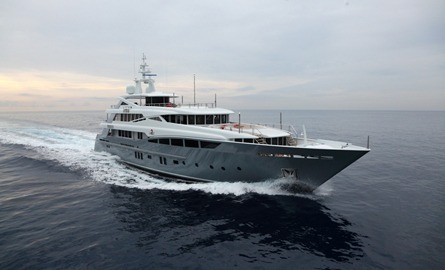 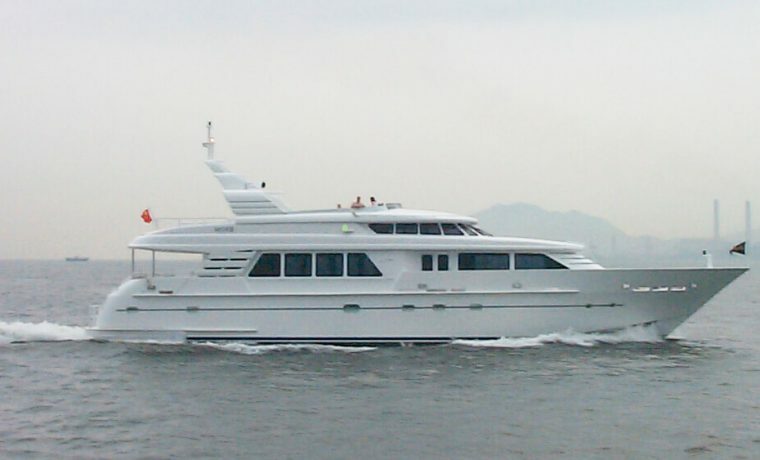 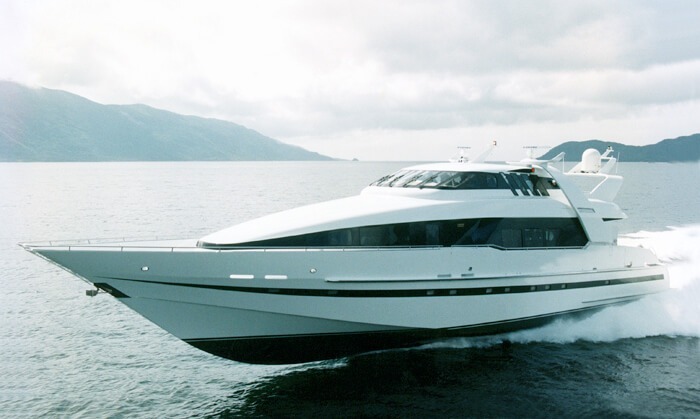 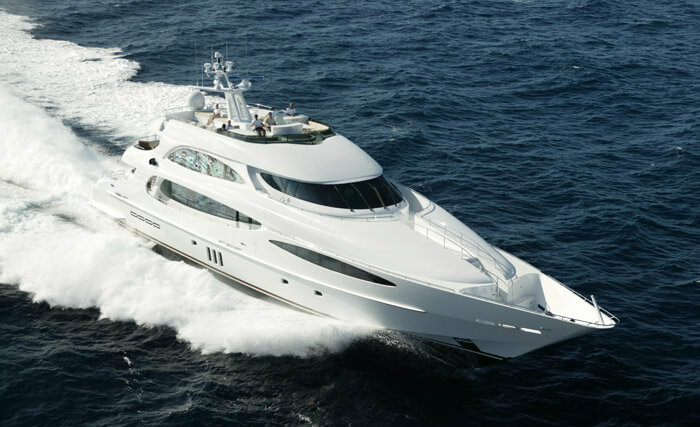 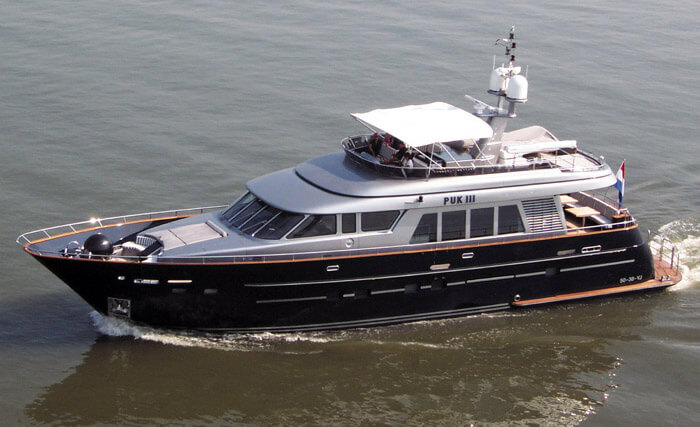 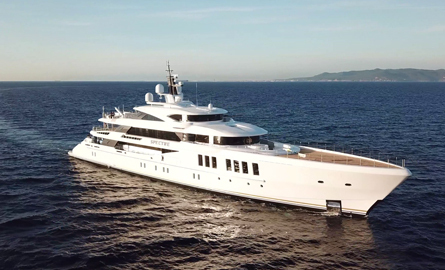 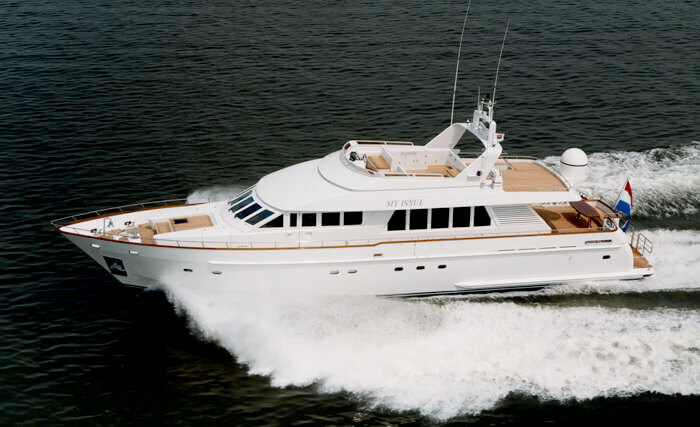 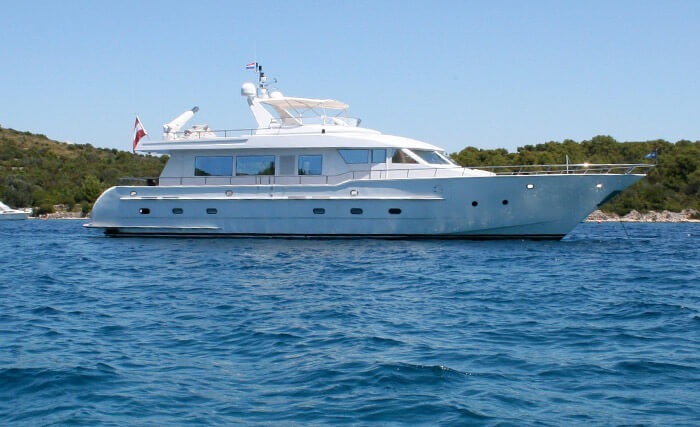 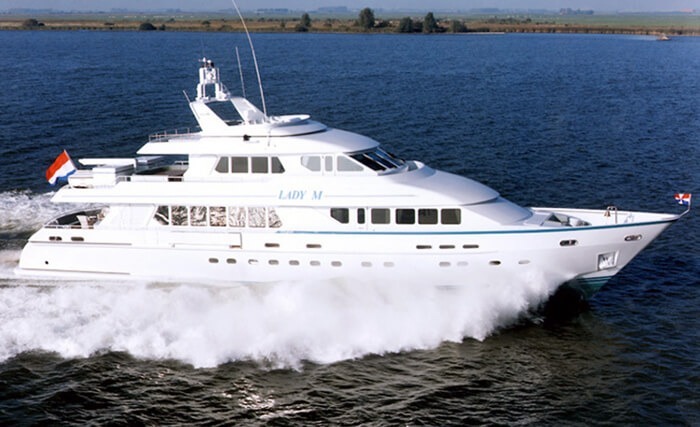 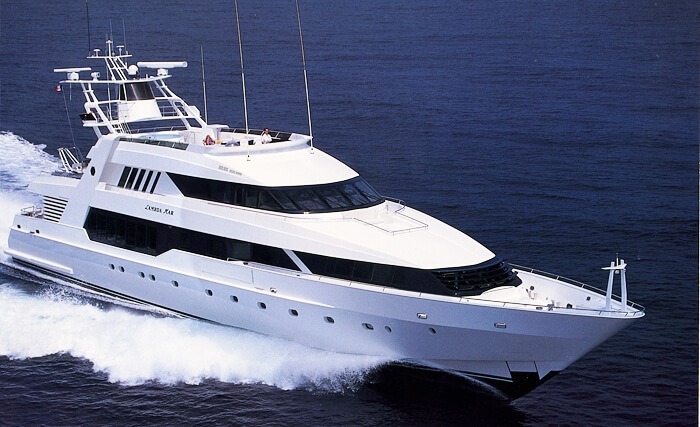 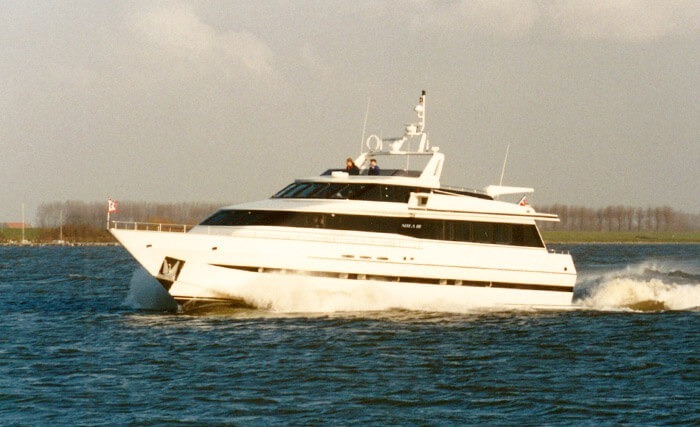 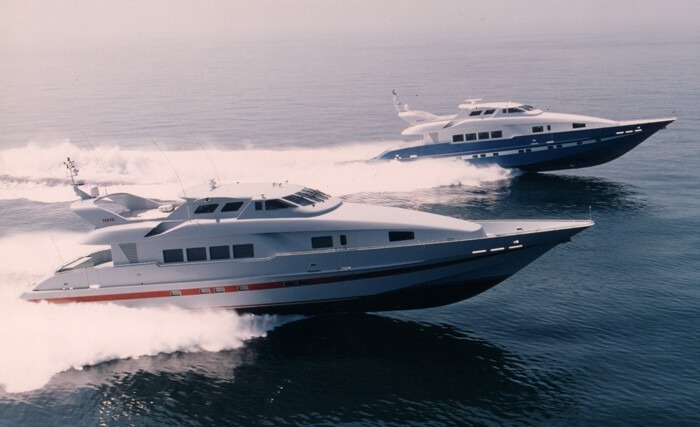 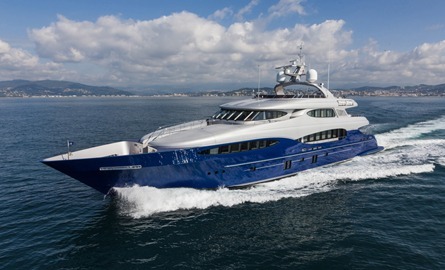 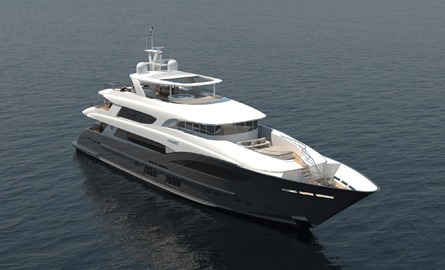 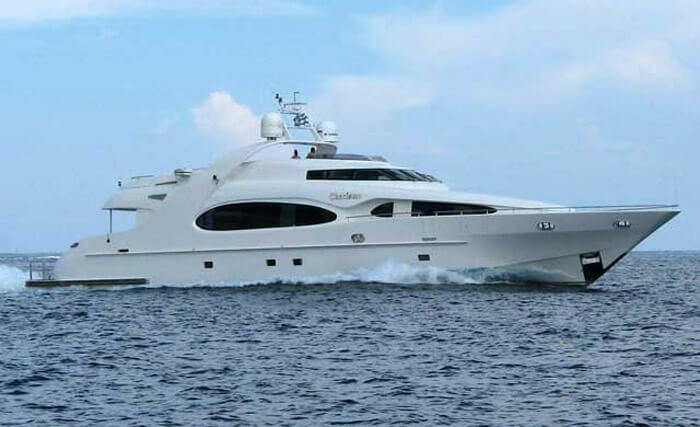 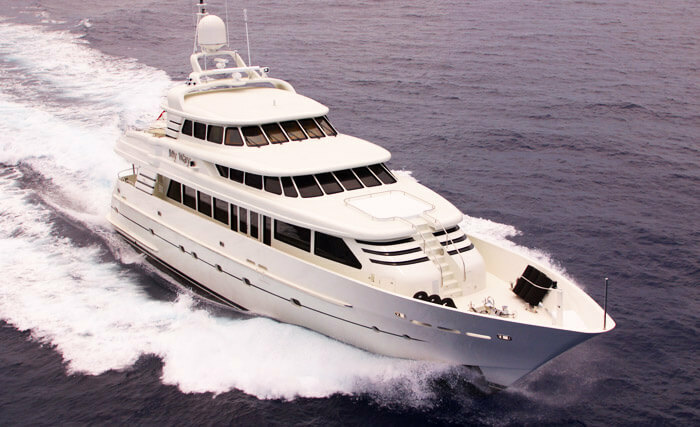 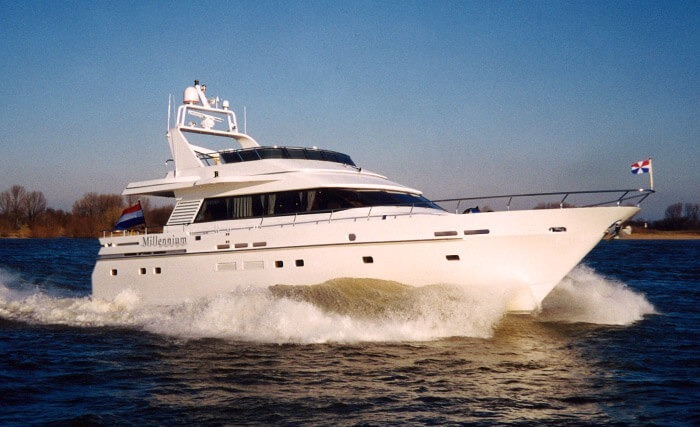 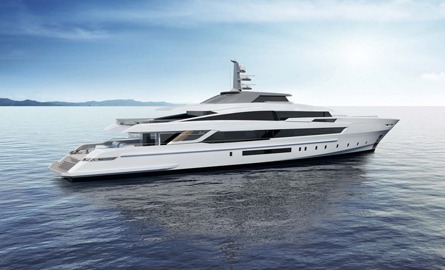 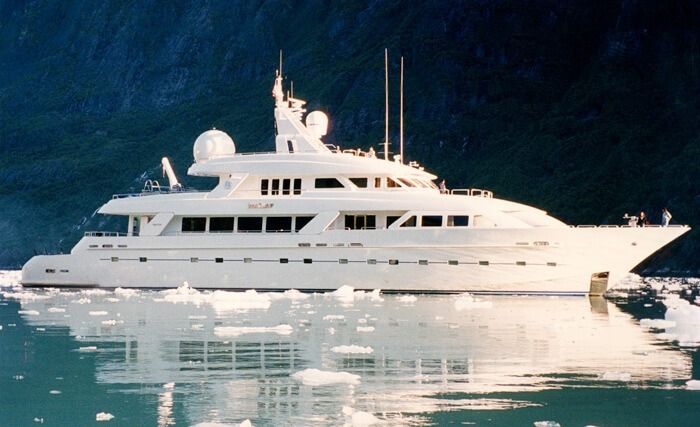 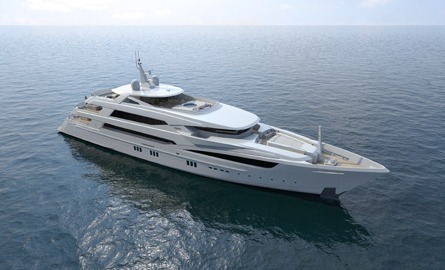 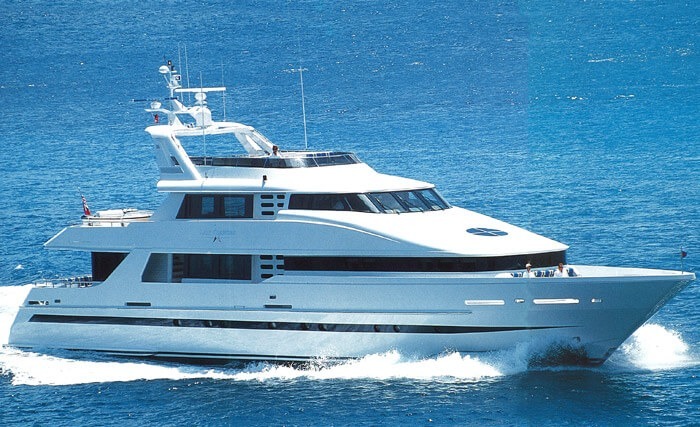 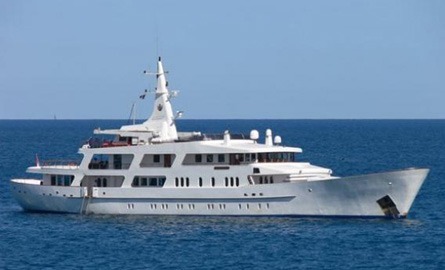 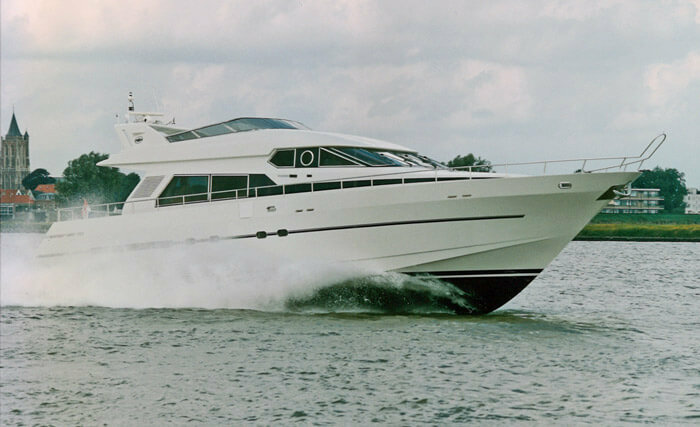 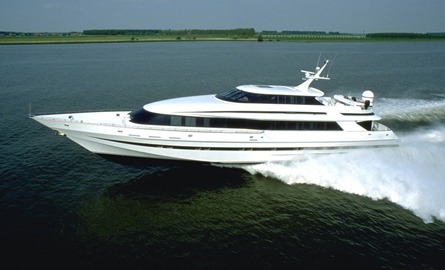 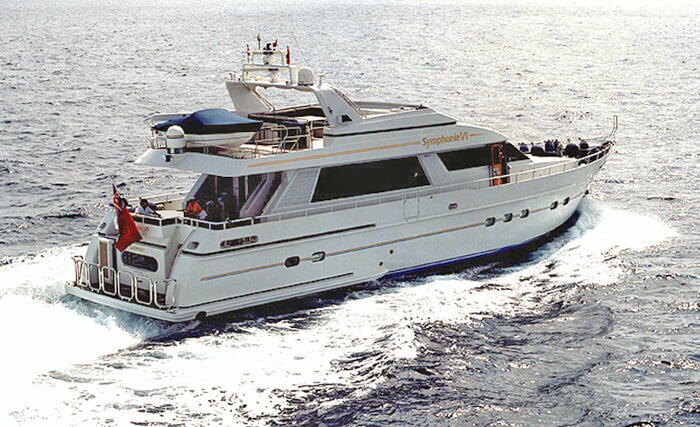 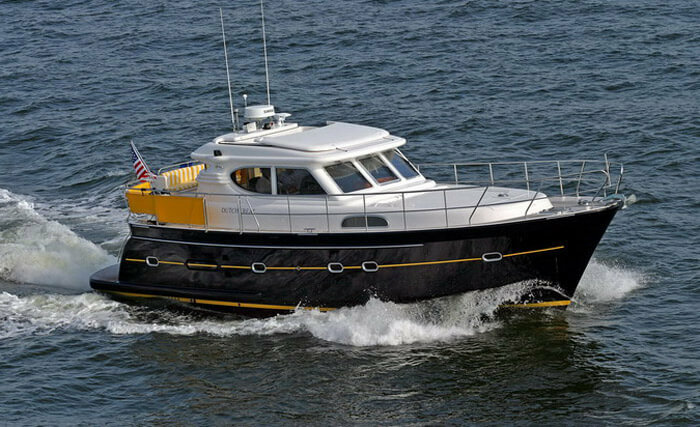 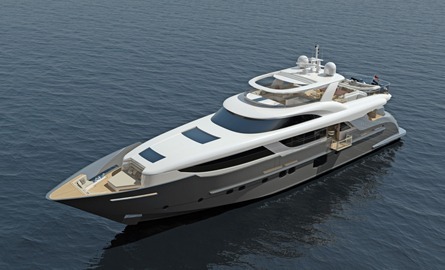 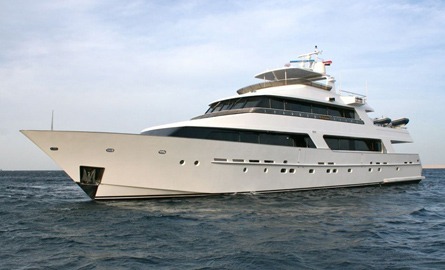 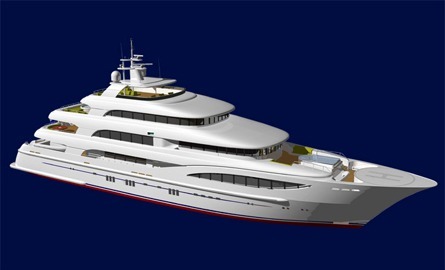 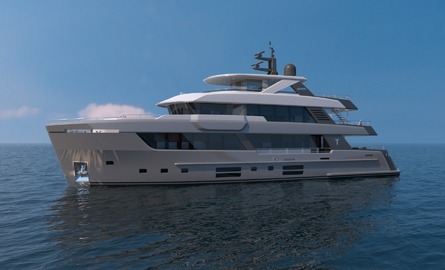 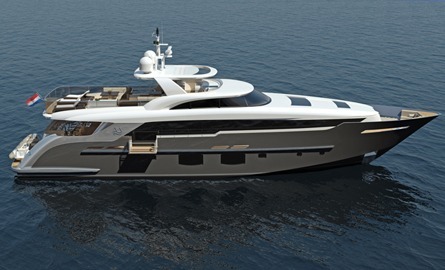 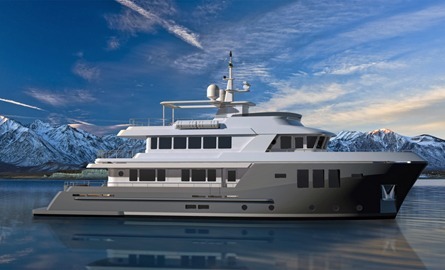 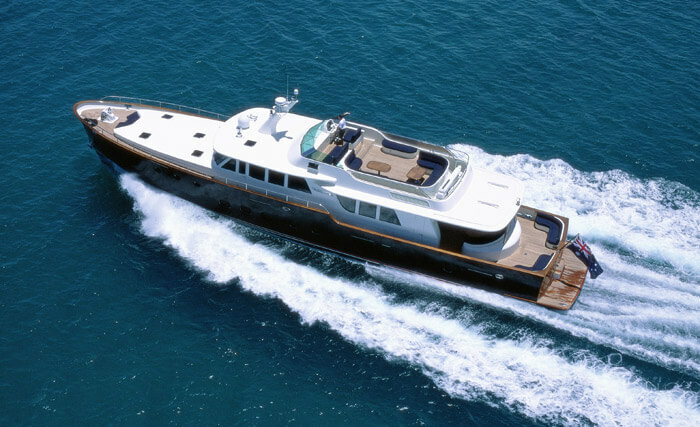 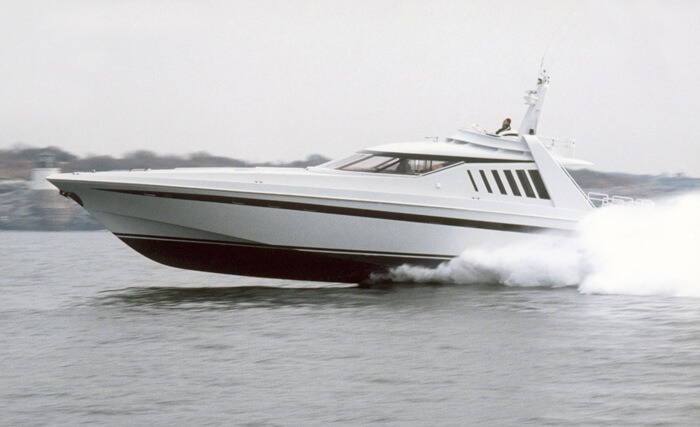 The streamlined Semi-planing Super Yacht accommodates 12 guests divided over an owners cabin on maindeck, and 5 guest cabins on the lower deck, including a full width VIP. 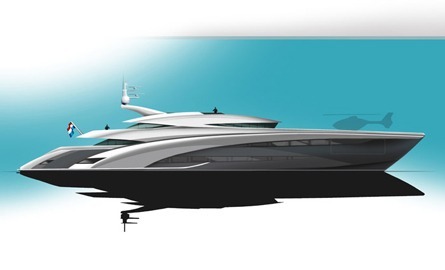 A beautiful spiral staircase around a glass elevator connecting all decks. 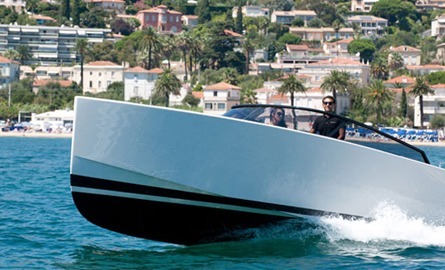 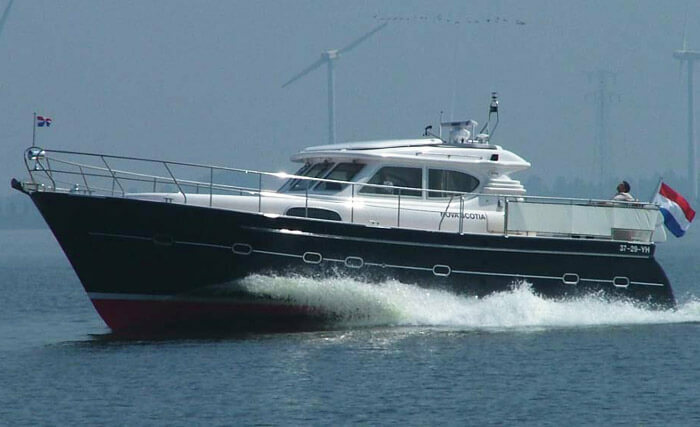 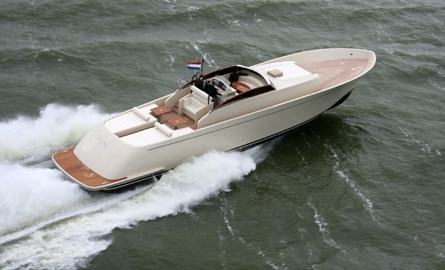 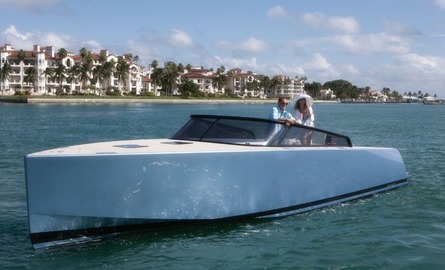 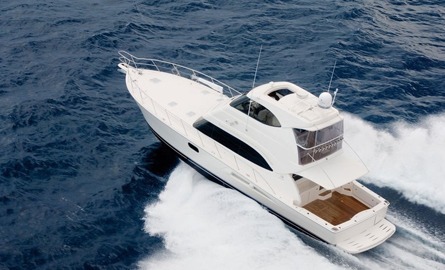 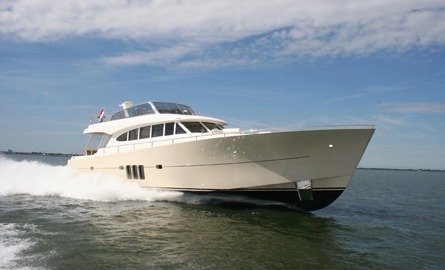 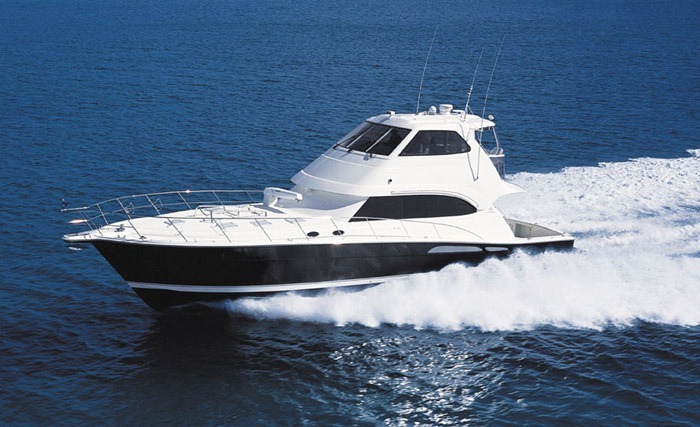 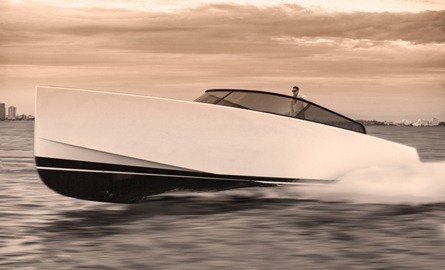 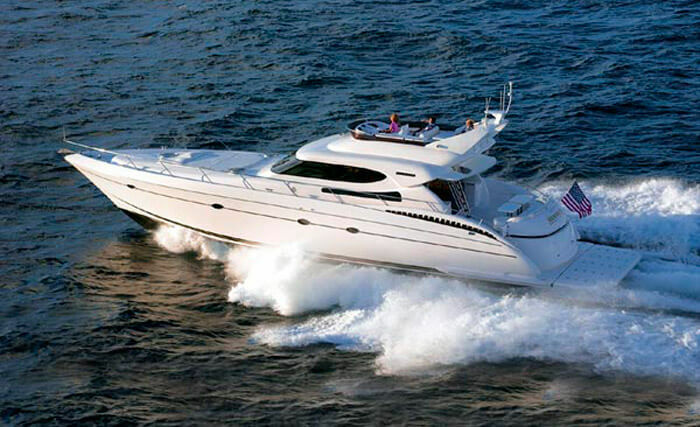 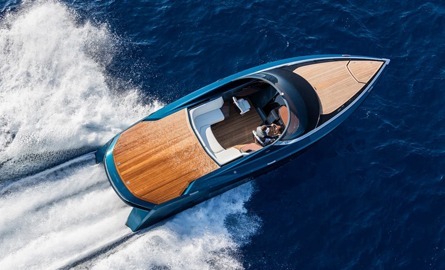 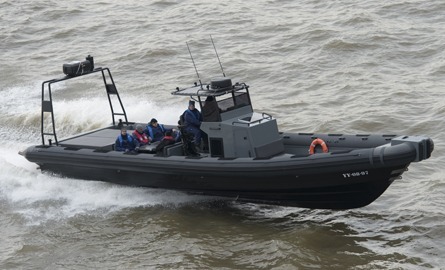 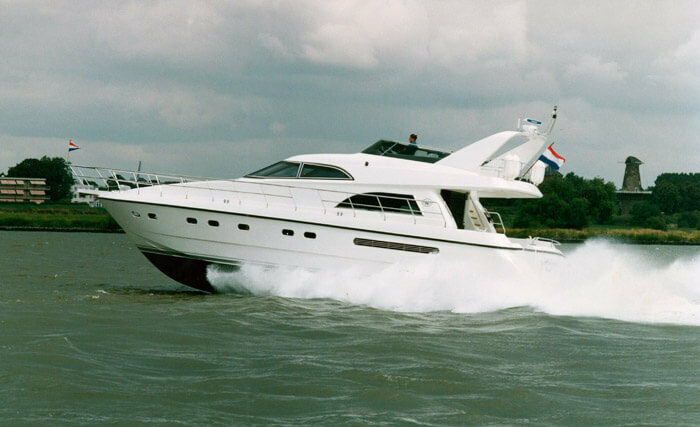 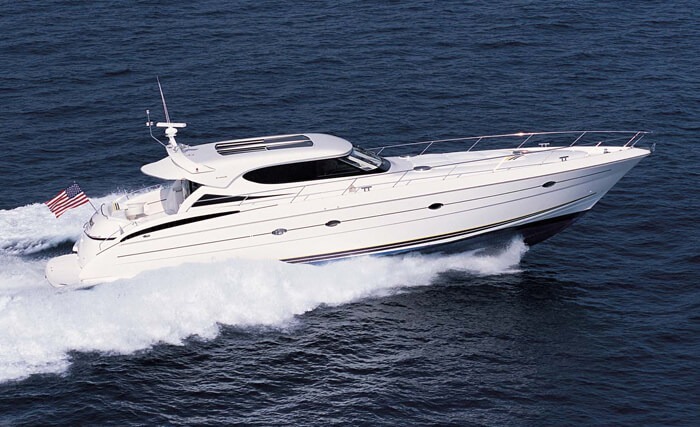 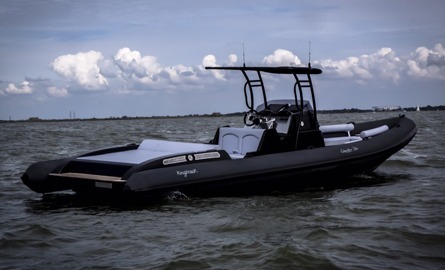 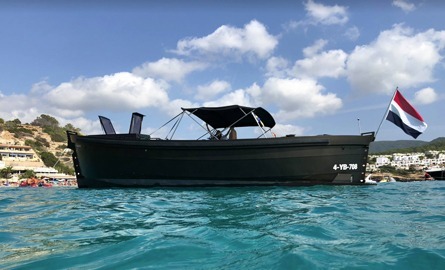 Tenders and jet ski’s are stored in the bow, leaving a huge recreational beach area in the stern of the yacht. 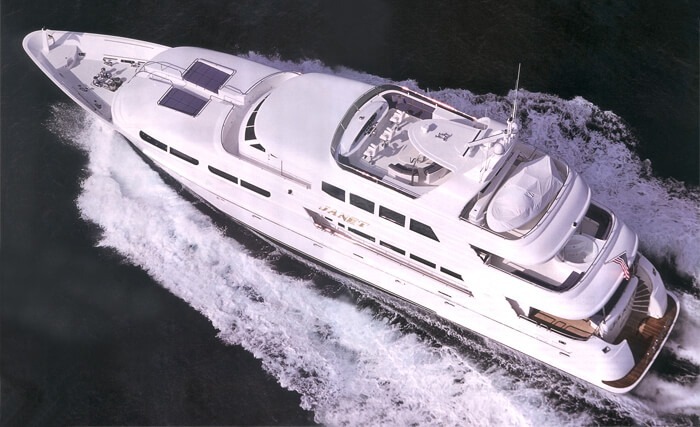 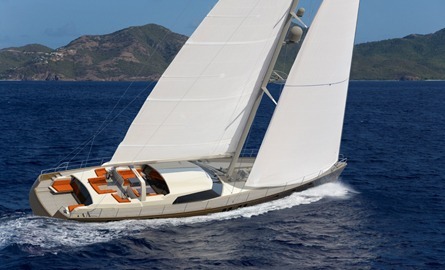 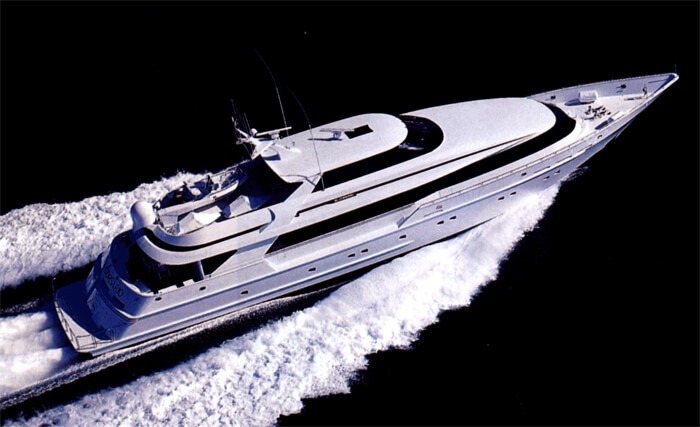 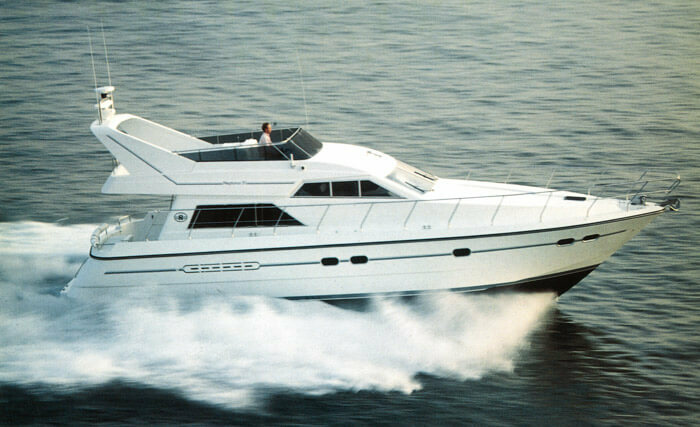 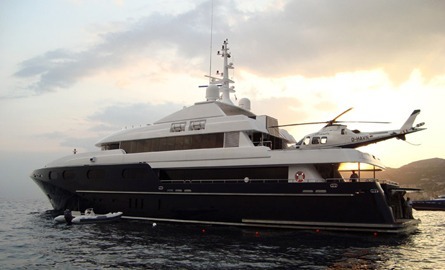 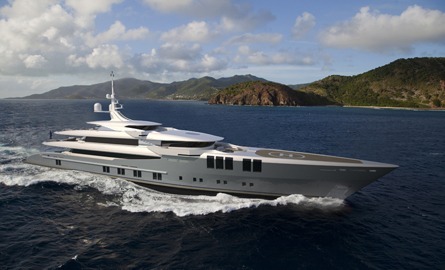 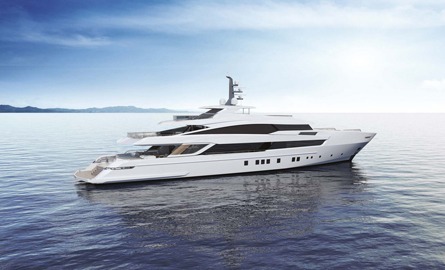 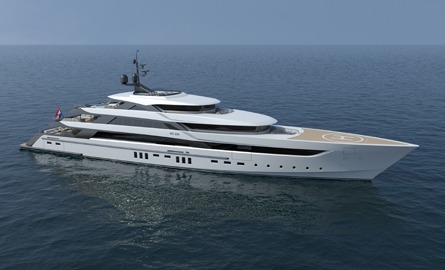 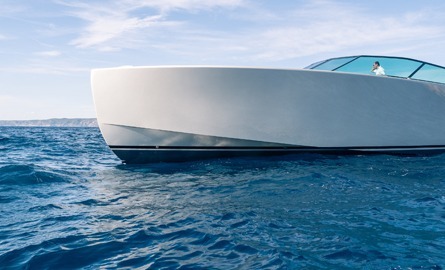 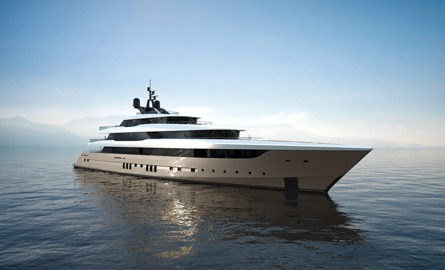 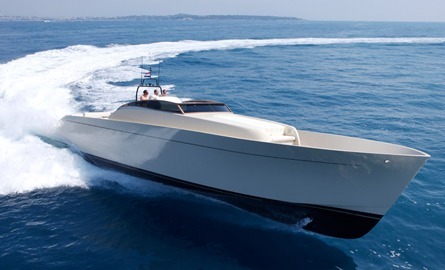 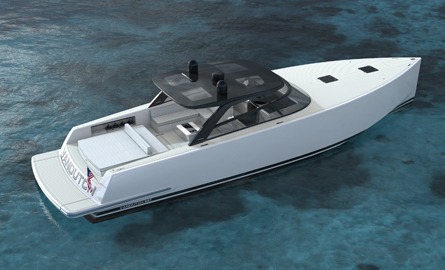 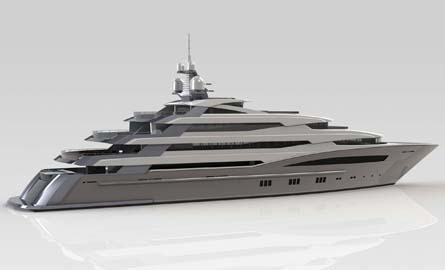 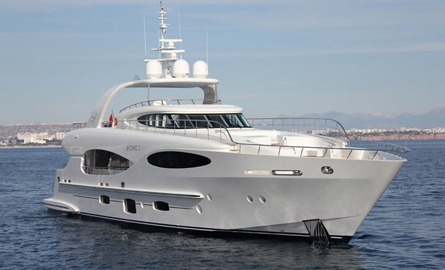 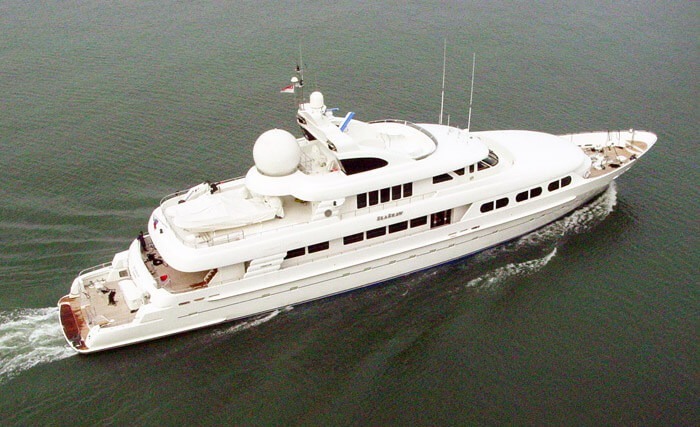 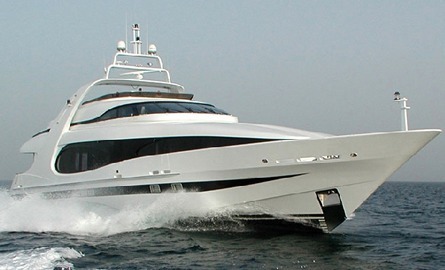 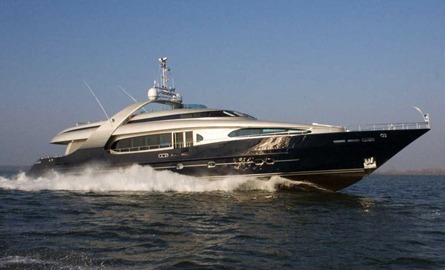 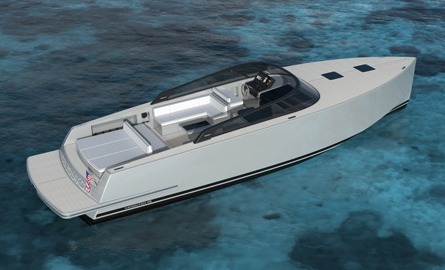 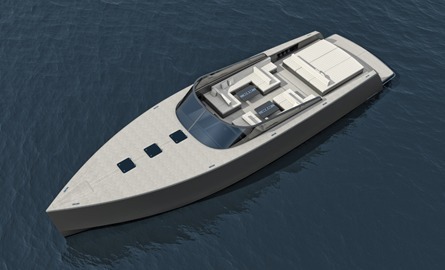 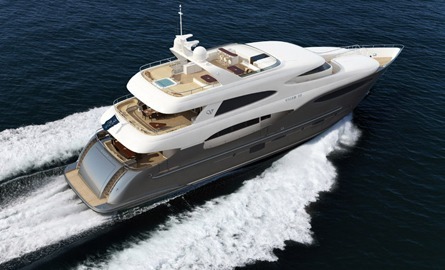 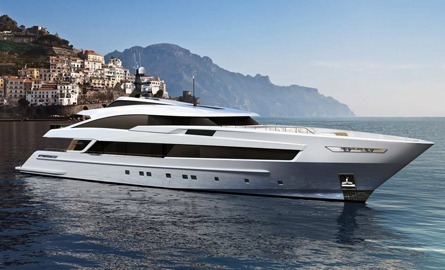 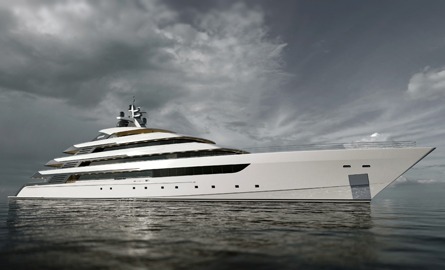 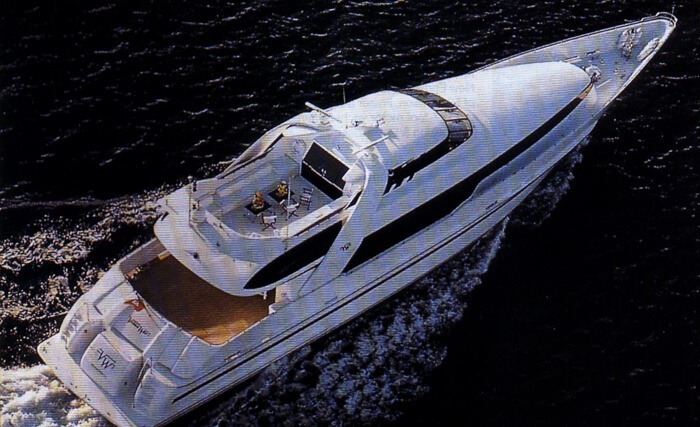 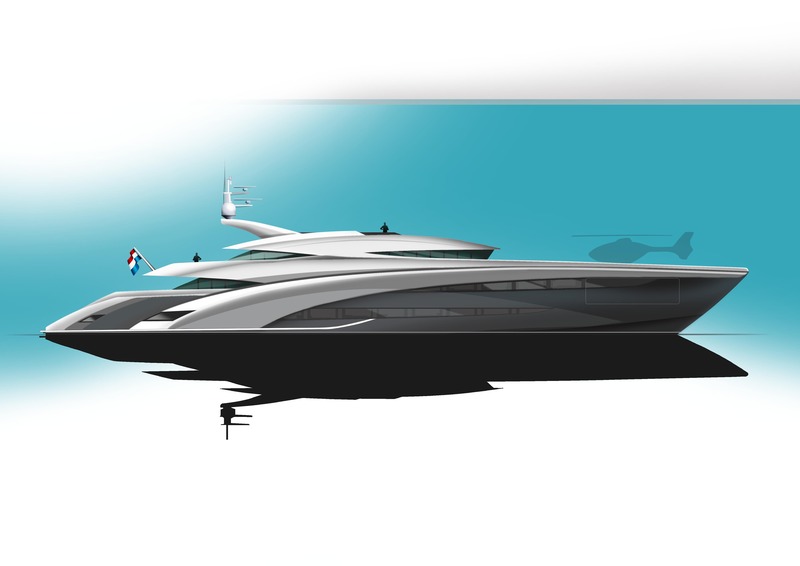 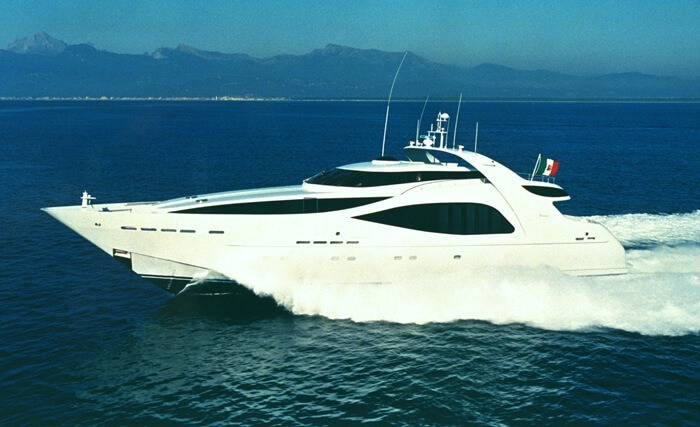 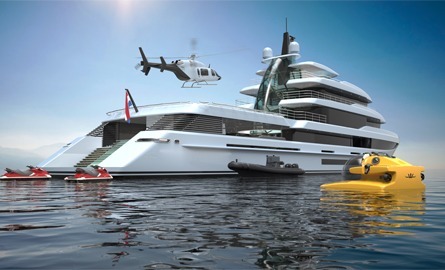 The yacht features a touch and go helicopter pad and a Jacuzzi surrounded by a large sun bed on the foredeck.